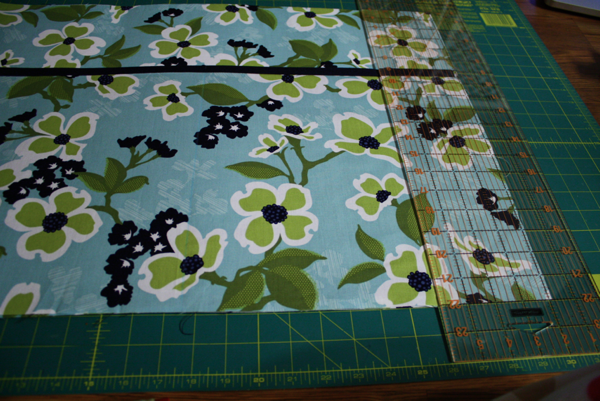 I started with the outside first, so I cut 2 pieces of interfacing 19″ x 25,” 2 pieces of fabric to 19″ x 25,” 1 piece of fabric 13″ x 25″ (floral) and another piece of fabric 14″ x 25″ (blue). 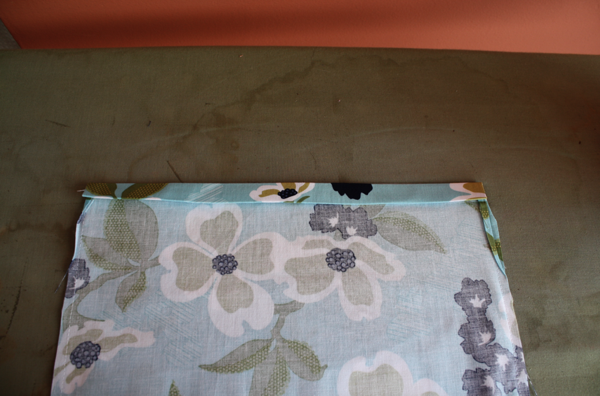 Then using my Elmer’s spray adhesive, I attached my fabric to the interfacing. **I highly suggest you do this outside. Not only does it smell, but it gets EVERYWHERE. I’ve been using this stuff for nearly 10 years so I don’t mind doing it inside. But consider yourself forewarned–it’s sticky and it’s HARD to get off! 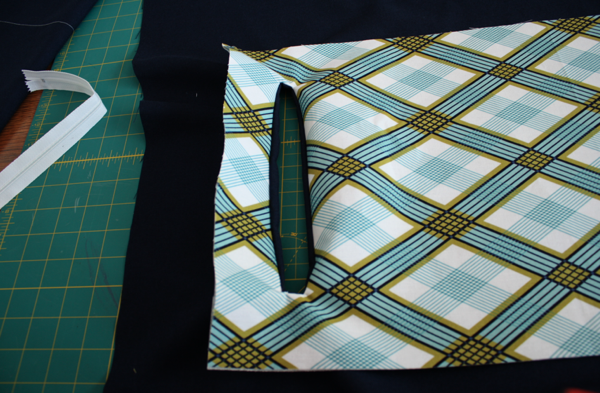 Once my fabric was attached, I flipped the pieces over and traced 4″ in from the sides and the bottom to give my bag it’s depth. 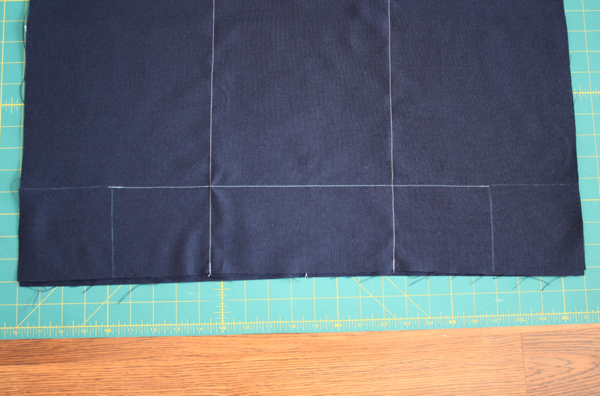 To make the pocket, I placed right sides together, lined the edges up, and sewed at 1/2″ seam allowance. 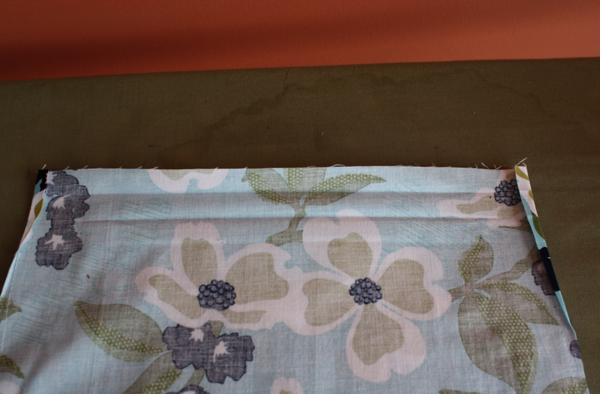 Then I ironed the seam, flipped the blue part over the seam, so it shows 1/2″ on the floral side, and ironed it flat. The bottoms should line up evenly now. 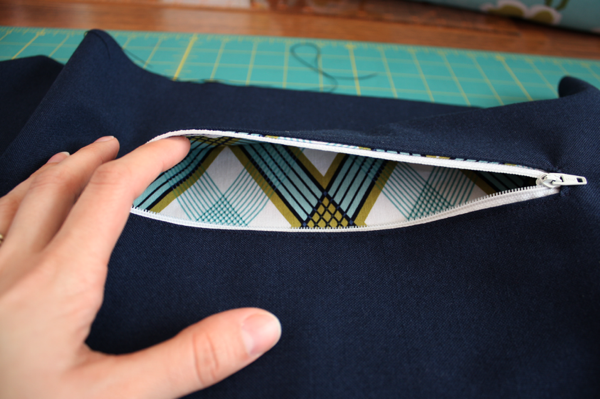 Lay the pocket to top of one of the outside pieces and mark where you want your pockets. 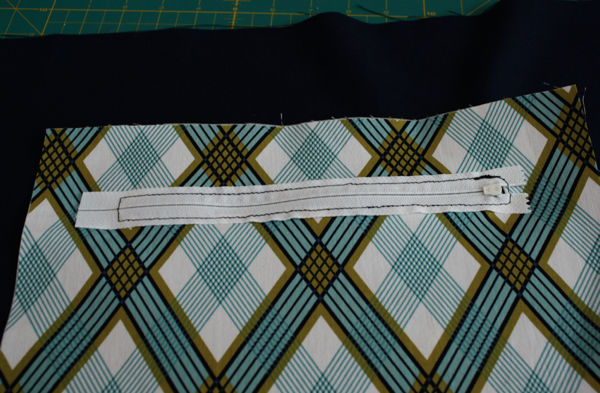 I chose to mark the center so I’d have 2 big pockets, then 4″ in from the side to have 2 skinny side pockets. 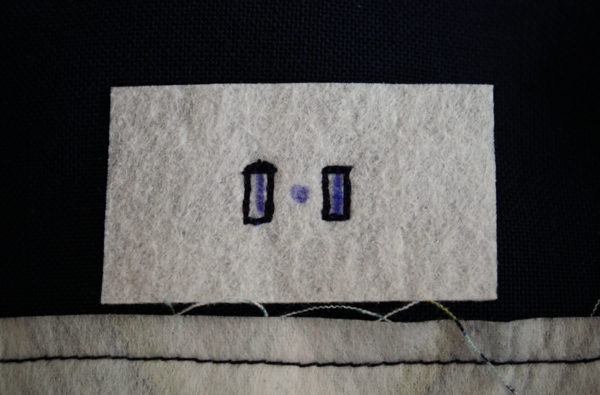 Then sew down the lines you marked. 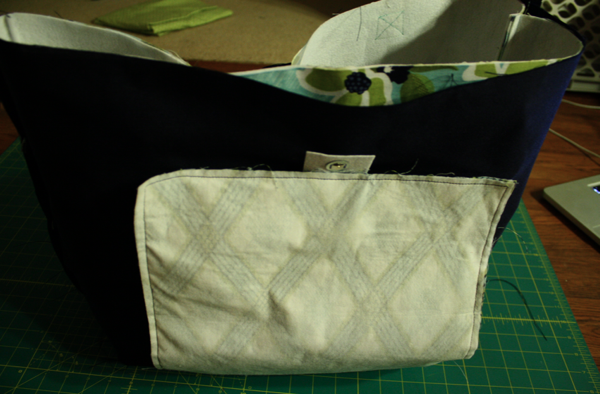 I also sewed a line all the way across, 4″ from the bottom so my pockets didn’t wrap around under the bag. 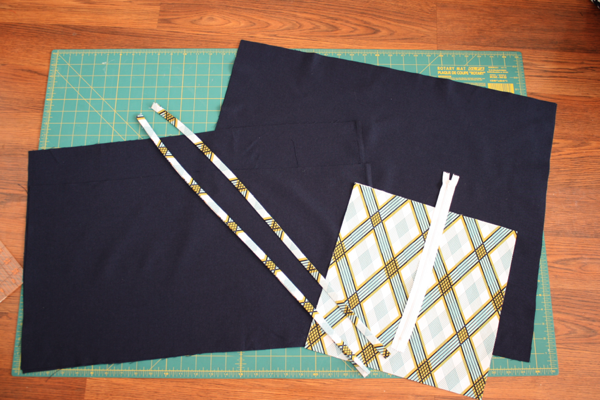 For the lining, I cut 2 pieces 20″ x 25″ (yes, 1 inch taller than the outside pieces), 1 piece 16″ x 25,” and 1 piece 13″ x 25.” Then I cut 2 pieces 2″ x 25″ and made them into bias tape for the accents on the top of the pockets. 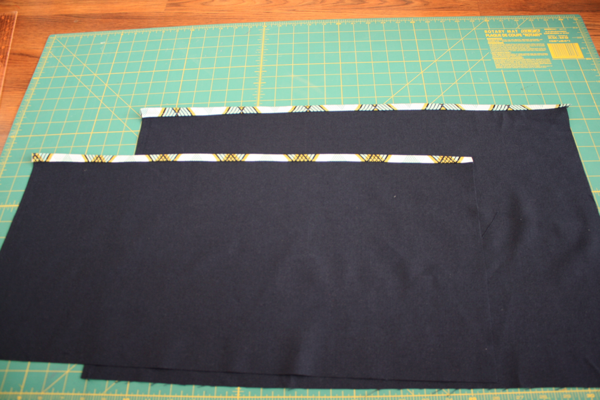 I cut 1 piece 12″ x 24″ for my lined, zippered pocket. 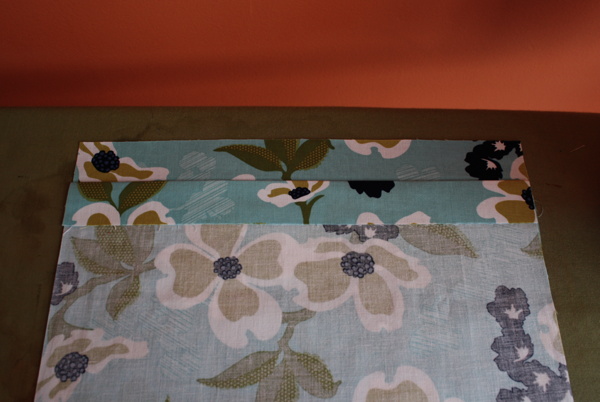 Now, the fabric I used for my lining isn’t just lightweight quilting cotton like the rest of my fabric. It’s a thicker bottom weight, so I only cut 1 of each for the inner pockets. 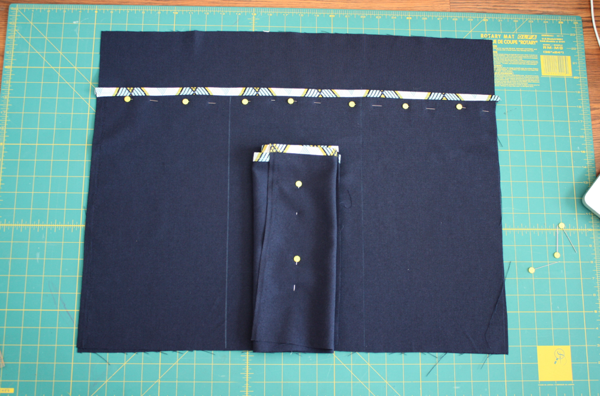 If you think your fabric will be too flimsy with only 1 layer, cut 2 for each pocket. 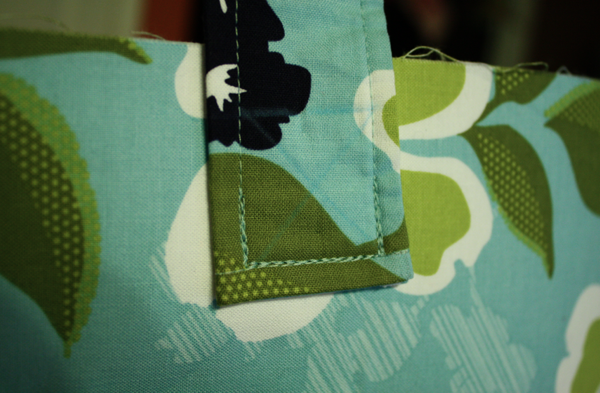 To accent the pockets, I sandwiched the fabric between my pseudo-bias tape and stitched it down. 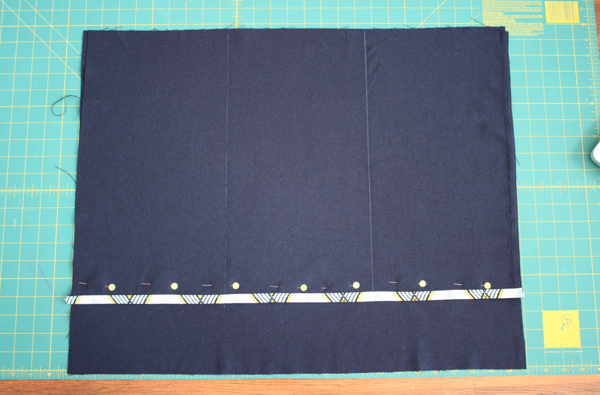 Then I lined my pockets up on one side of the lining and marked where I wanted my pockets. 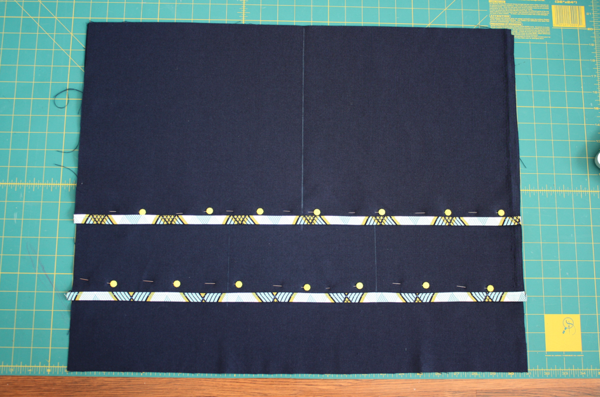 For the taller ones, I wanted 3 pockets, so I divided the fabric in 3rd and drew my lines. 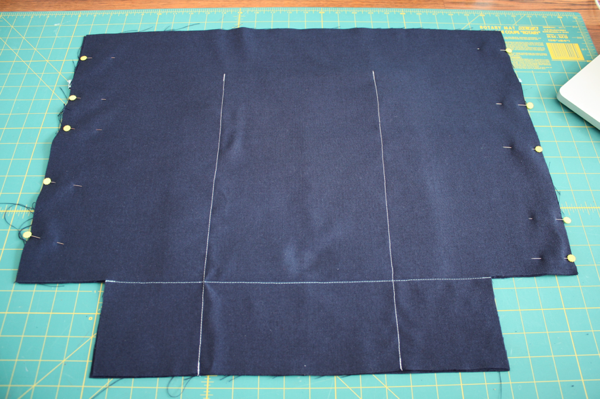 For the shorter pocket, I only wanted 2, so I drew a line down the middle. 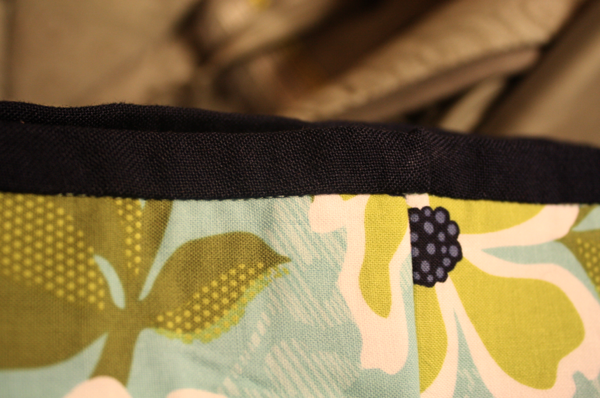 Now, to sew them down, you have to sew the shorter pocket to the taller pocket, then the taller pocket to the lining. 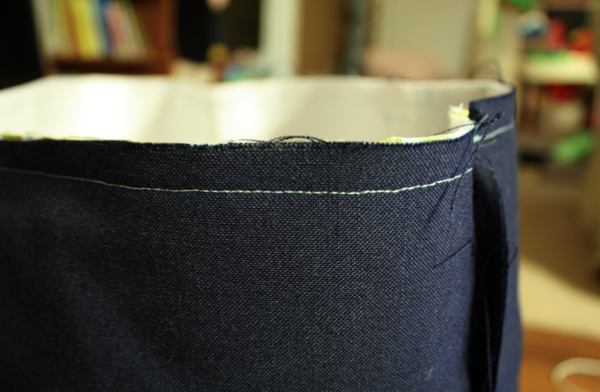 If you sew the smaller pocket through all the layers, you’ll have a seam down the middle of the middle upper pocket. Make sense? 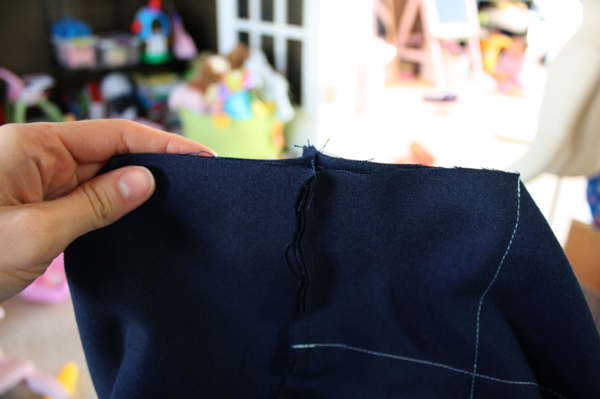 So you want to carefully fold the lining piece back, and sew down your middle seam, attaching the short pocket to the tall one. 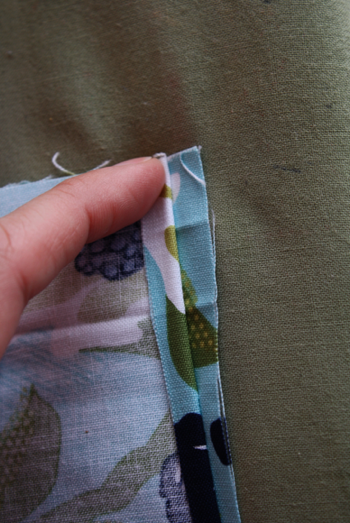 Then fold the short pocket in out of the way, and sew the tall pocket to the lining fabric. 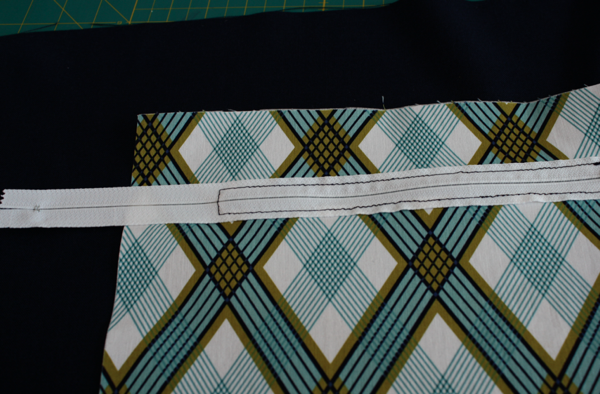 Then I measured 4″ up from the bottom and drew a line. I then measured 4″ from the sides and drew my lines to make the box bottom. 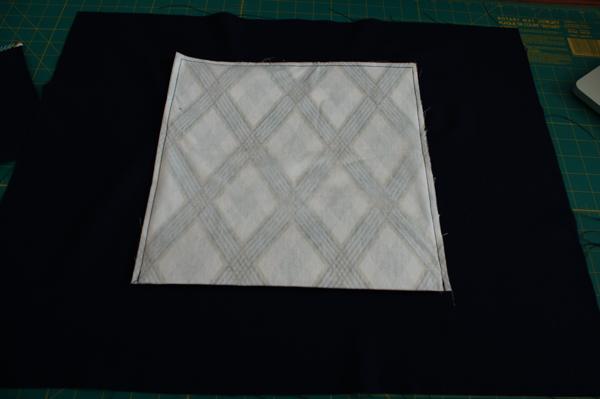 I then sewed from the corner of one square to the other, to seal off the bottom of my pockets just like I did on the outside. Then I cut out the square corners. 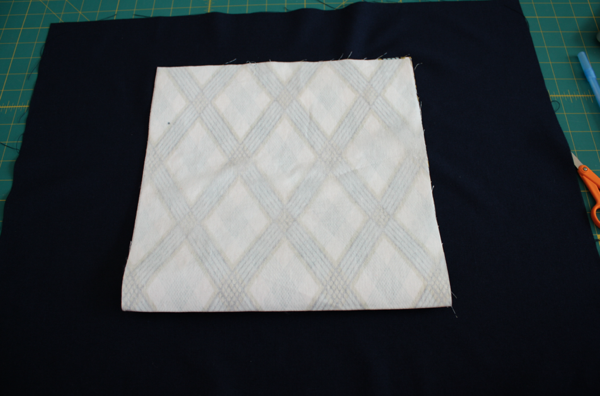 I then took my 12″ by 24″ lined pocket piece and ironed it to a piece of lightweight fusible interfacing of the same size. 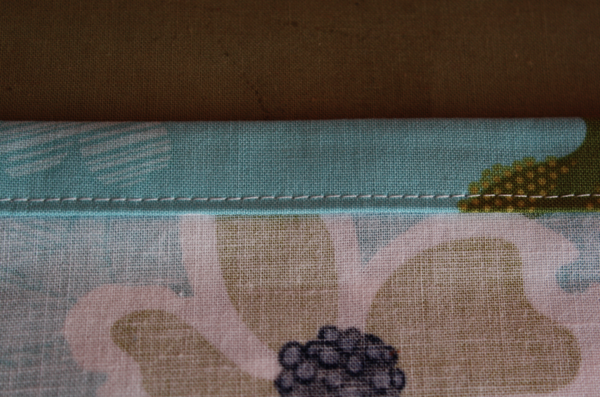 I placed it right sides together on my other lining piece, about 4 inches from the top. I drew a long, skinny rectangle, 9 inches long and .5″ tall. 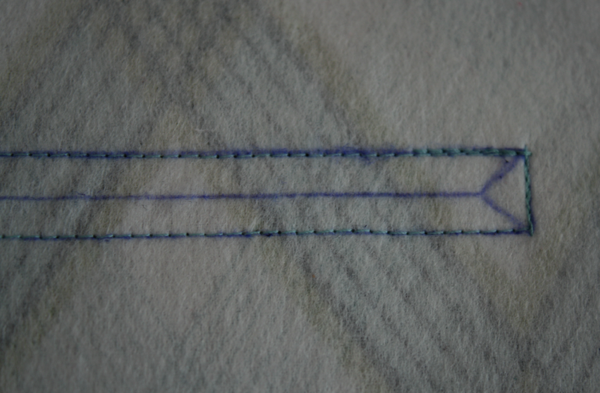 Then I drew a line down the middle and made 2 triangle shape marks at the end. and cut on my inner lines. Then I put my pocket piece through the hole and pulled it to the other side. And iron the opening flat. Now, grab your zipper, and place it in the opening. If you’re a little afraid of zippers, DON’T BE. 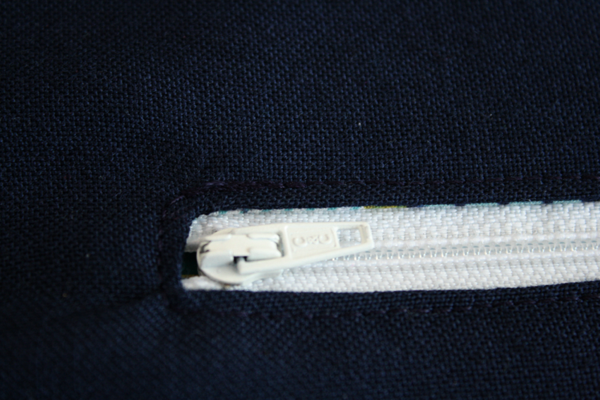 This is the easiest zipper you’ll ever put in anything, I promise! 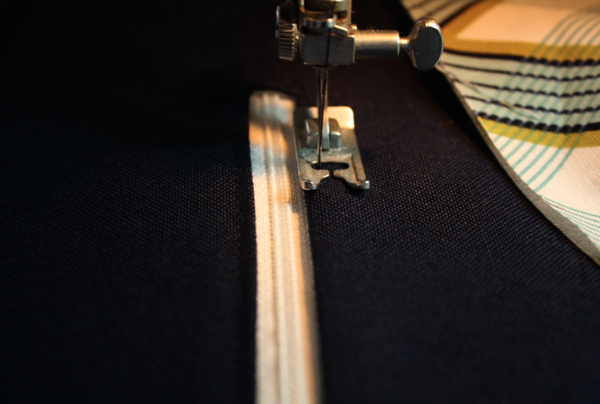 Holding the zipper in the center, sew around the edge of the opening, staying close to the edge of the fabric. 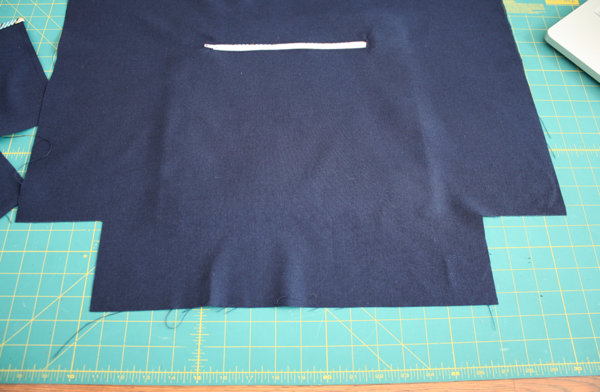 I tried to use what I had on hand, and my only white zipper was 14,” so I just cut off the extra. 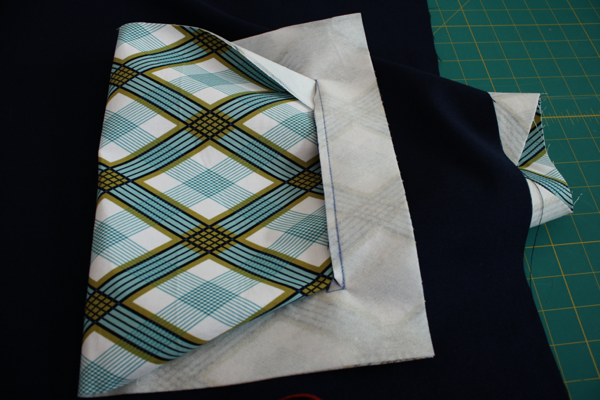 Now, take the bottom of the pocket and fold it up, matching the top and bottom, making a 12″ square. And sew around the 3 open sides. 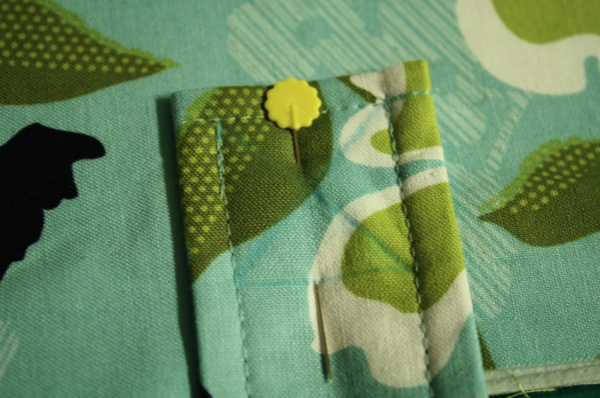 And you’ve got a cute, lined zippered pocket! After cutting the corners on that side, place lining pieces right sides together, and sew down both sides, and across the bottom, leaving a hole several inches long to turn the bag through. Now, the corners will still be open. 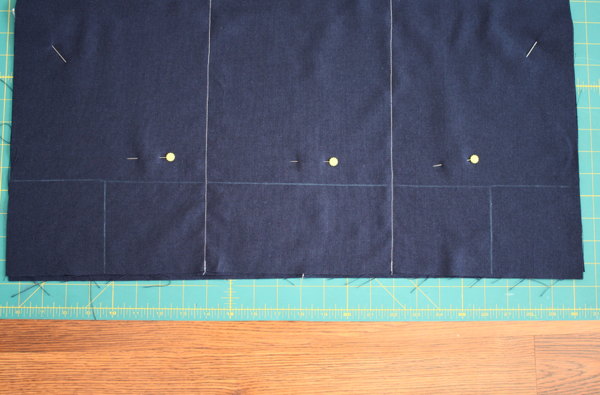 Take them, place the seams from the side and the bottom together, and sew straight across. Here’s a tip. 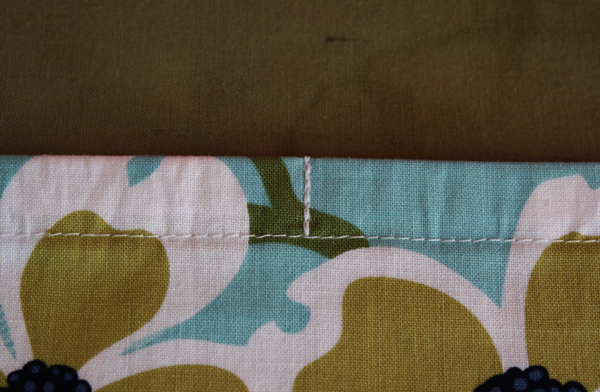 When you place the seams together, lay one to one side and the other to the other side. 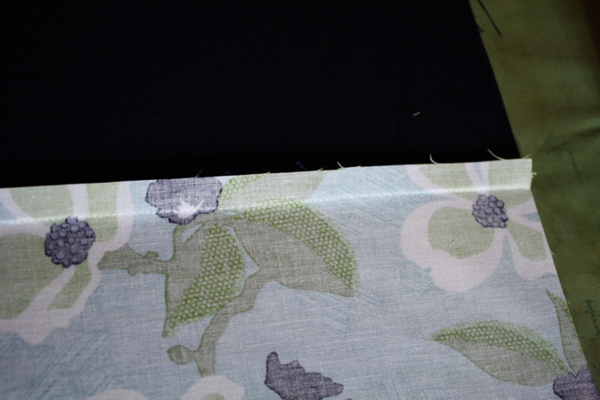 This will even out the thickness of the fabric you’re putting through the machine, and it’ll give you perfect corners. 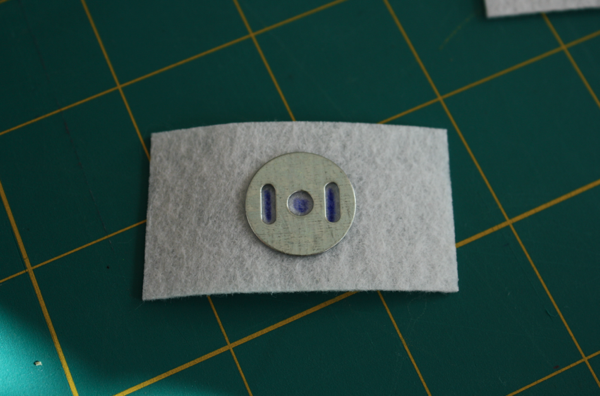 To do the magnetic closure, take 2 scrap pieces of interfacing, and mark the slits in the washer pieces that come with the closure. 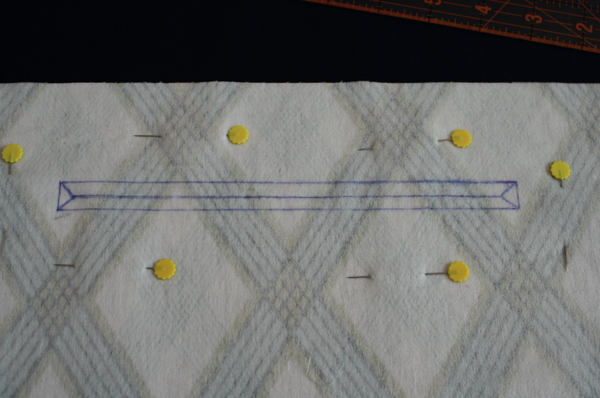 Place them on the wrong side of each side of the lining, 3 inches from the top and centered. 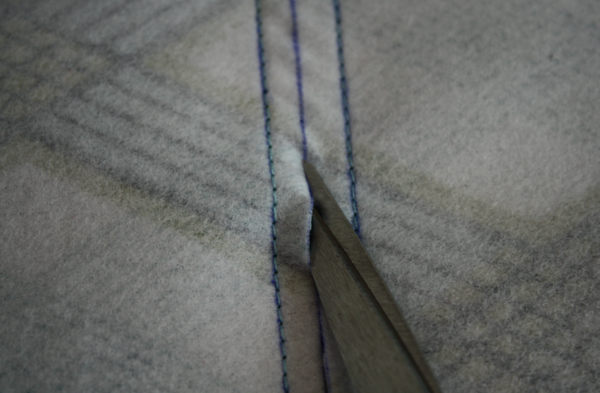 Then I just stitch around each slit marking, making a sort of buttonhole for added security. Cut on the lines and insert the magnetic closure. 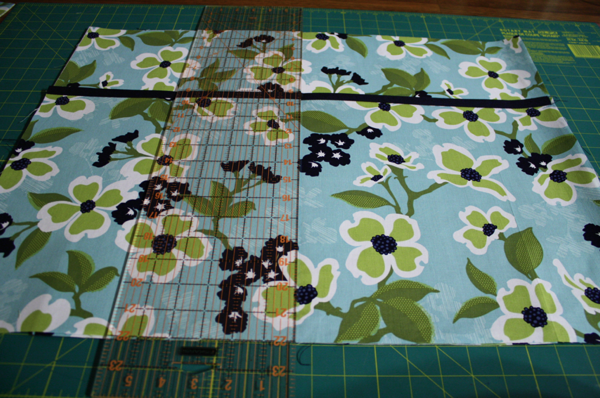 For the straps, I cut 2 pieces 4 inches wide by 32 inches long of both the fabric and the fusible interfacing. 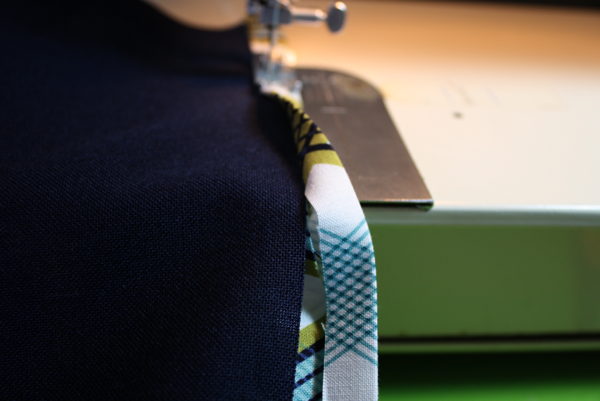 Apply the interfacing to the wrong side of the straps. 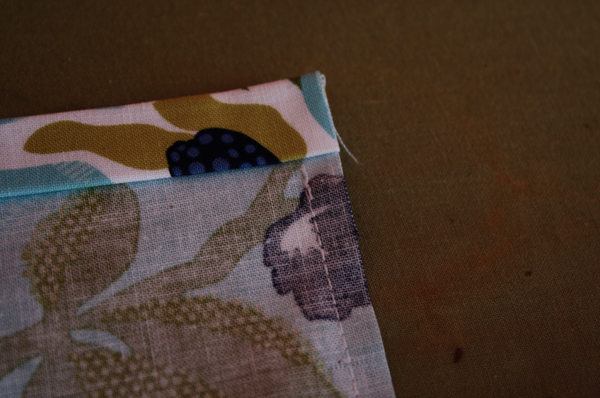 Then fold down 1/2″ on each side and sew. 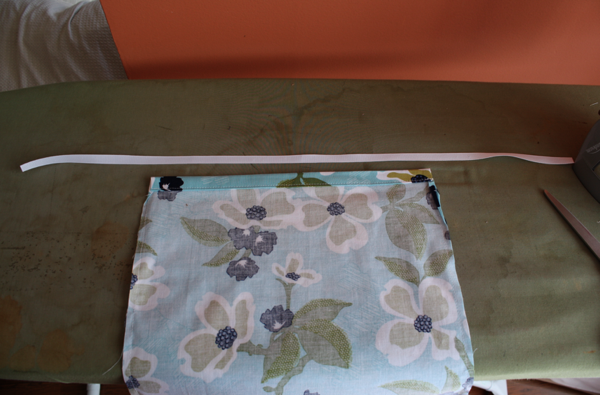 Fold right sides together and sew down the length of the strap. 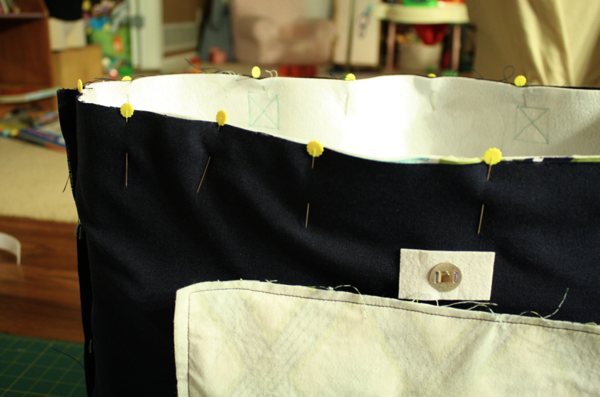 Then using a safety pin, turn the straps right side out, and sew down both sides for stability. Originally, I was going to sew them on with an X, but decided to just sew them on in a “U” shape instead (the bag was too big and too difficult to manipulate through the hole in my machine to make it work the other way!). 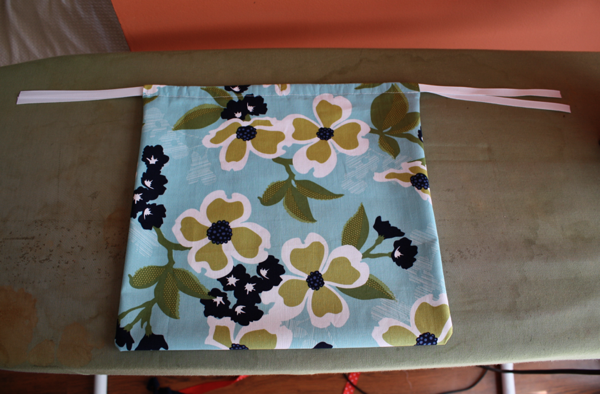 I placed each strap 2″ down from the top of the bag and eyeballed how far in from the sides I wanted it. 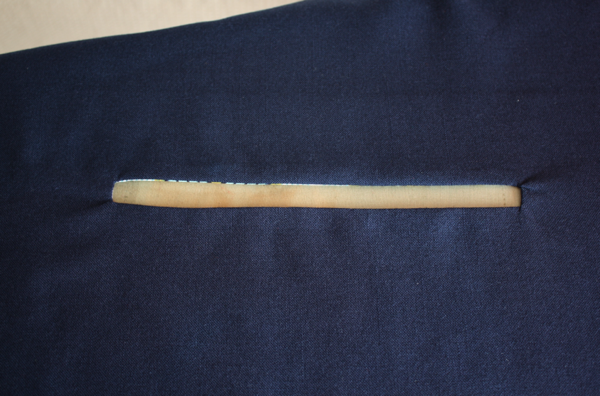 Now, take the lining and with right sides together, put the outside into the lining, making sure your straps are tucked down inside the 2 layers. 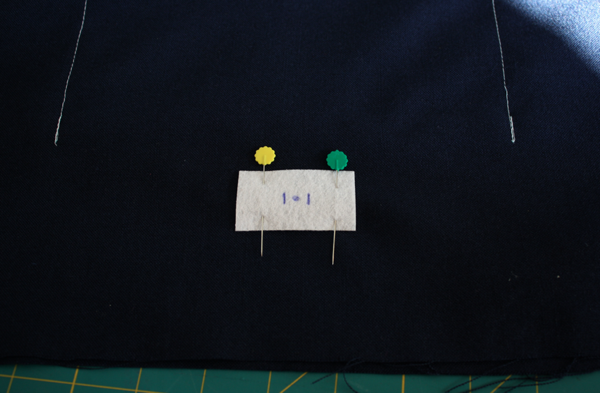 Pin the pieces together, and sew around the perimeter with a 1/2″ seam allowance. 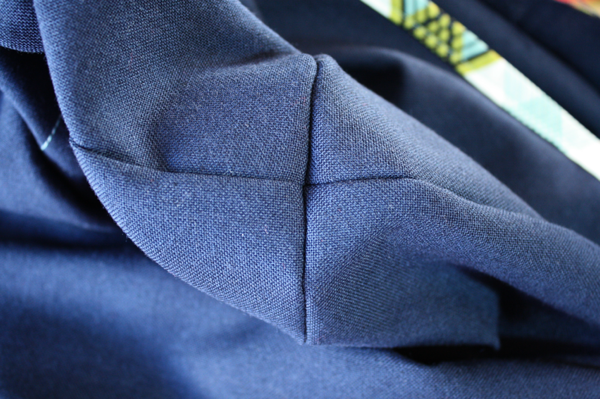 Pull the bag through the hole in the lining and iron the top the same way you did the accent on the outer pocket. 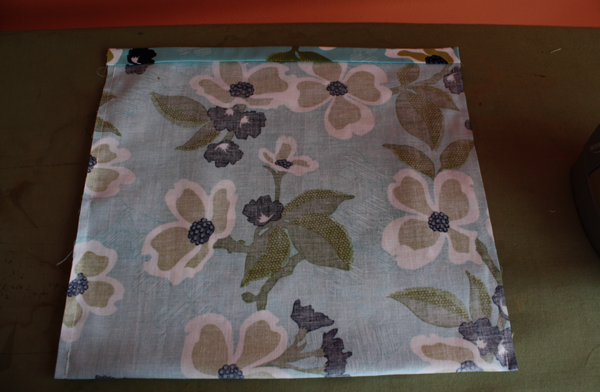 Then stitch the lining to the bag right along the fold, and sew the hole closed in the bottom. And your bag is done! 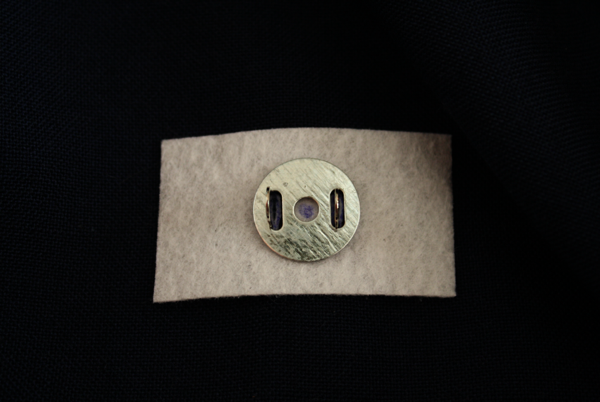 and ironed the top down 1″. 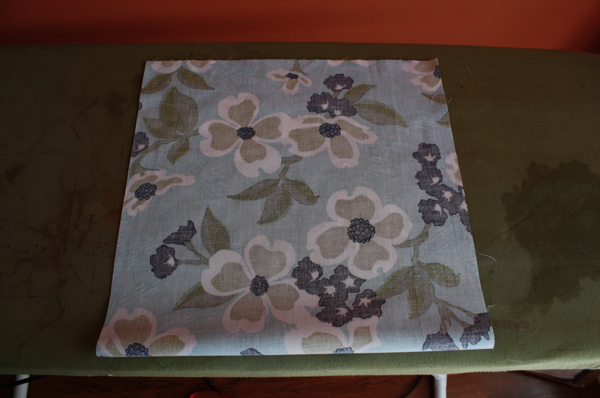 Then lift the flap, and fold the fabric down to the line you just ironed and press again. 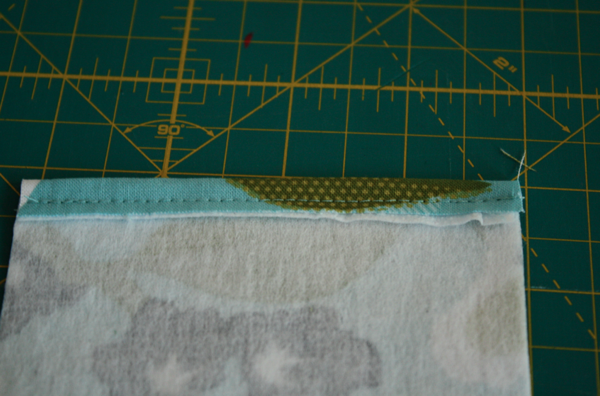 Then fold down on the original crease and press (so your fabric is turned and ironed twice), creating a casing. 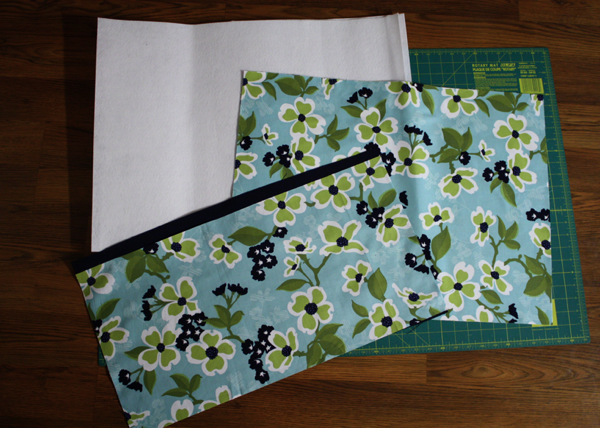 Sew from the bottom of the bag to the edge of casing. 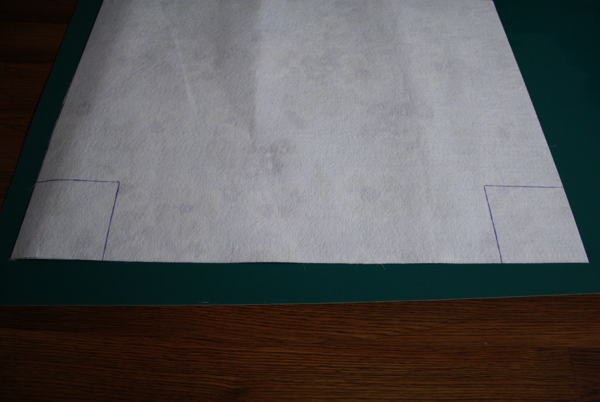 Then unfold the casing and fold over, aligning the fold with the seam. Press. 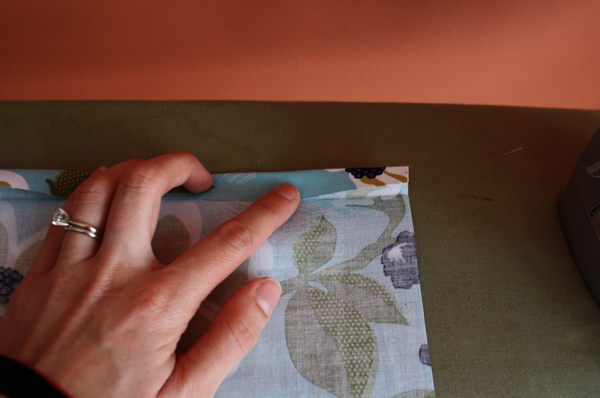 Fold the casing back down and iron, keeping your little flaps in so the edges are finished. 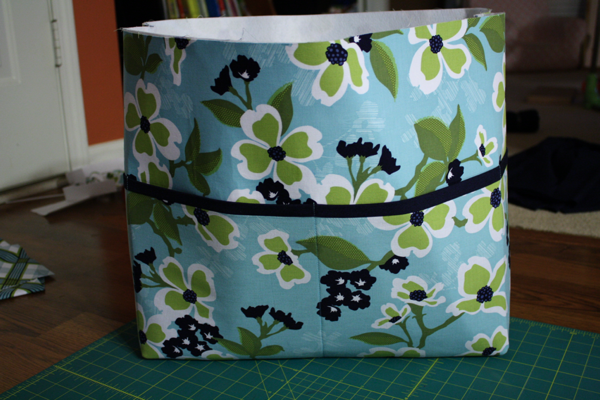 Sew along the bottom of the casing on each side of the bag. I measure out ribbon twice as long as each side. 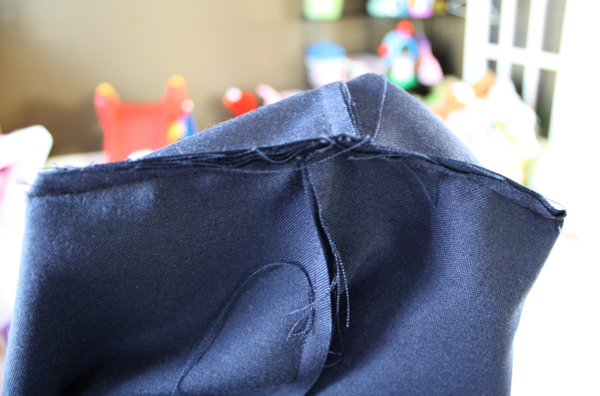 Thread it through with a safety pin and sew in the middle of each side to secure the ribbon. Heat seal the ends, turn right side out and you’re done! Thank you so much for sharing the pattern. Can’t wait to try this. Awesomeness! Immediately bookmarked until the point in time at which I have the time, energy, and appropriately adorable fabric to make my own. Thanks for sharing your brilliance! I love this bag! I was wondering if it could be converted into a diaper bag? I have been looking for a diaper bag I love but 1) expensive. 2) If I do love it it doesn’t have enough pockets or something. I’m gonna try & make this as a diaper bag & wipeable (by adding vinyl I’m guessing?) see what happens. I never made a bag before & I deff need pictures & words thats how I learn. So thank you for posting this! Just finished the big bag, my daugher was after something to take to ball games. 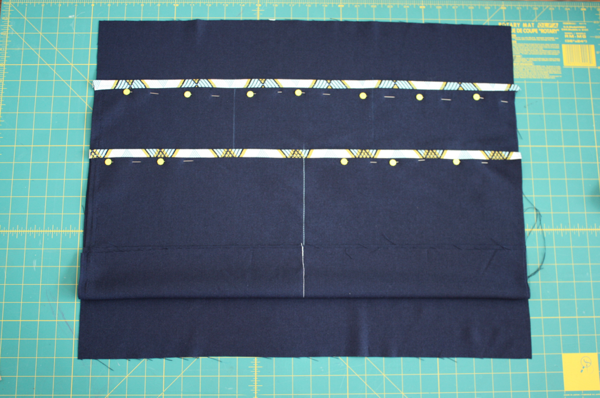 I think when you get to the straps, the “Then fold down 1/2″ on each side and sew,” really means ends, not sides? It was easy to follow, thank you! 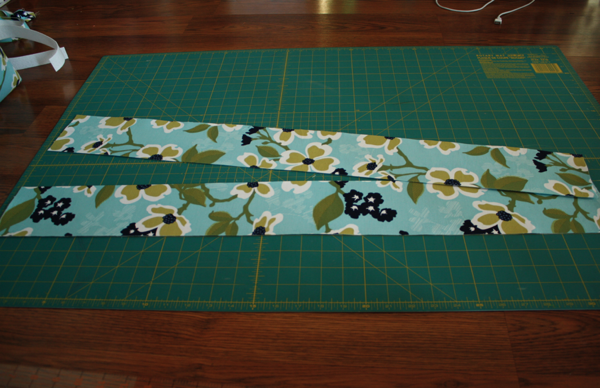 A large cutting surface and rotary cutter would be good, or fold up your fabric to make the cutting faster. 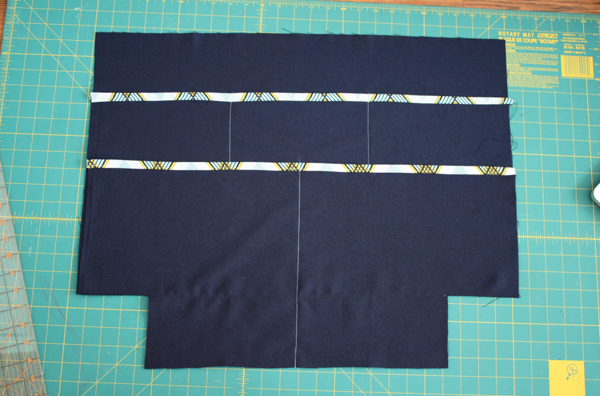 We did add a small strip of velcro to help keep the larger inside pockets from gapping, just do that after you put the bias on, before the pockets are all lined up. Ours were an after thought. Would make a perfect overnight bag. Quite a bit of materials, so I probably won’t make too many, unless I hit some excellent sales, but everyone loves it and I am making myself one, I deserve it! What a fantastic tutorial! 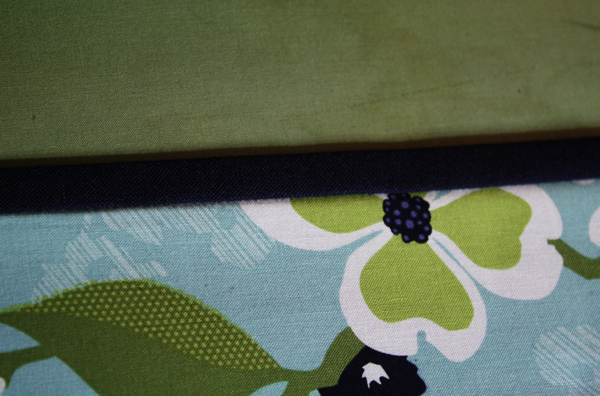 I love that fabric, I have some in my stash! What are your final dimensions of the gym bag when it’s done? LOVE IT! 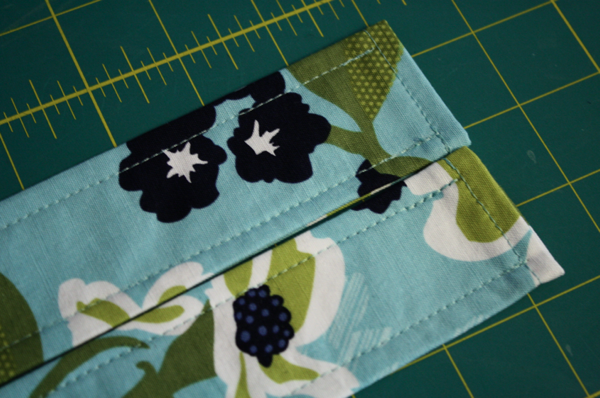 thanks so much for sharing, the lined zipper pocket looks easy enough even for me to try! This is a great tutorial. I am also curious about the dimensions when the bag is finished. Thanks for posting this. It’s an excellent tutorial and I love the finished product! (Scared of the adhesive, though.) Your explanations are very clear. I cannot WAIT to make this!! Thank you! Just finished my own bag after your pattern yesterday and wanted to thank you for the tutorial. I’m a total beginner and could pull it off (with a few mishaps here and there, LOL!). It is a great bag, we will use it to take to the beach on our upcoming vacation. THANKS!! Thanks for the post. 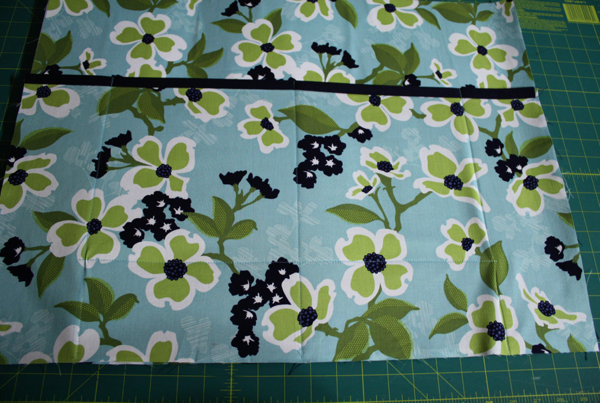 I found some camera fabric and am making this bag for my daughter for Christmas. Thanks for this really clear and motivating tutorial. I have made my own without too much difficulties and I am a total beginner. Is there a way to print the instructions and pattern? I am eager to try and make this but it would be easier for me to have the information right in front of me while I am sewing. Thanks! right click to copy, then open a new doc in your word processor, click and paste. Then you can print without all the comments. I usually resize the pics and format them to word wrap. This saves a lot of paper. I just finishd making this bag. It took a while but I am really happy with the results. I am starting one for my sister now. Very big bag, much bigger than I thought from the pictures. Luckily bigger is better! Love this tutorial. 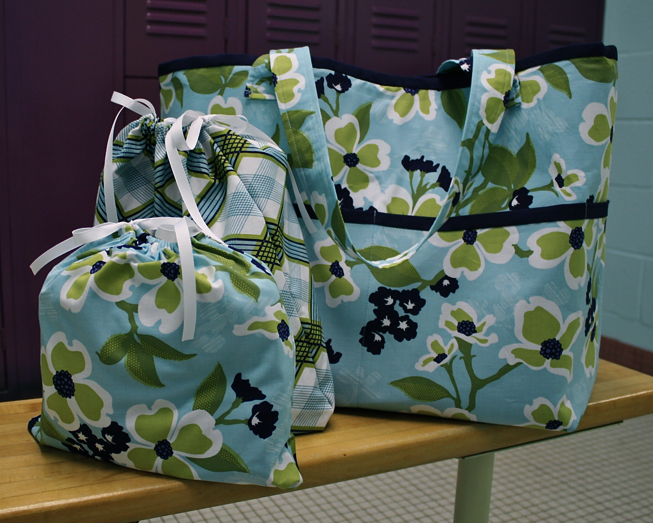 I’m a bag fiend, and an avid gym-goer… It seem like I’m always searching for the right bag. I can’t wait to make this! Thank you very much. I haven’t been sewing for a very long time. Not good at zippers but you made this look so easy. I might even make some for gifts. They might even be good for the groceries. (light weight stuff) That would save me from having to carry a big suitcase when I travel just for a week to see family. Make great gifts even for the guys. What is the finished H, W, and D of finished bag? WOW! Great tute, and very clear!!! Can’t wait to try!!! I’m from Holland and I can’t find de Elmers spray. Do you know where I can buy the spray on the internet ??? 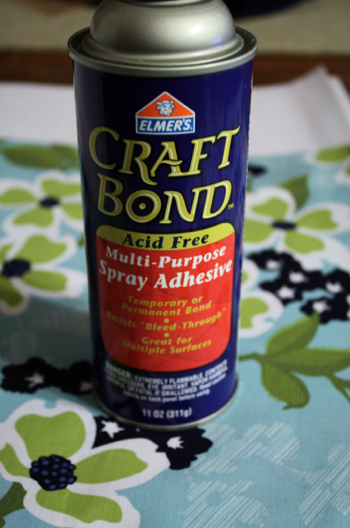 Any spray glue would work, it doesn’t have to be Elmers. Can you find anything similar? Other than specific craft stores or someplace like Amazon I wouldn’t know where to find it online and I’m not sure about shipping to you. Thans you very much for your quick answer. Yes, the shipping with Amazon is also a problem. I Will look her in the store. 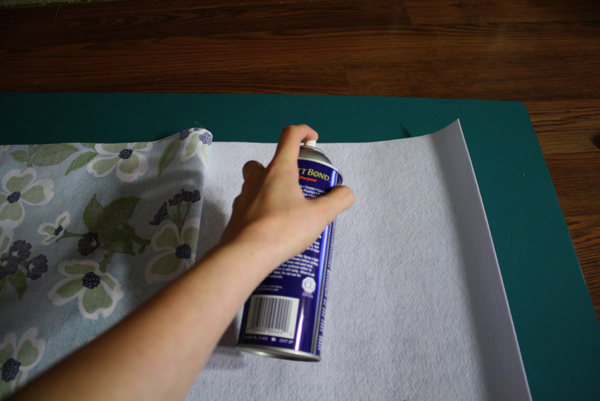 Did you used the glue to make bag fabric stronger ? Lots of greetings from Amsterdam. Hi! Your utorial was very helpful. Thanks a lot!! Finnaly I have my bag, that I wanted such a long time 😀 Thank you especially for the zipper and lining tutorial! Very pretty, I will surely make some for myself and friends, thanks for sharing.